An asylum patient has a cryptic vision: Clark will overthrow the presidency. She’s just insane…right? When a clockwork lion kidnaps their daughter, Clark and Amethyst’s calm new life shatters. Hunting down the beast leads the Grishams and Treasures to a conspiracy not just against Clark, but also against the country. The conspirators attacked their little girl. An offense like that can’t go ignored. With his old gang at his back, Clark is ready to take on an abandoned circus, dethroned royalty, a corrupt orphanage, and the presidency itself. 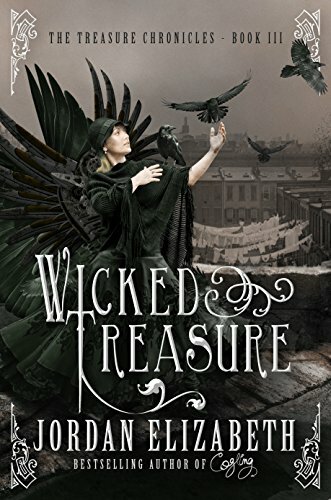 WICKED TREASURE is the third installment of the Treasure Chronicles.